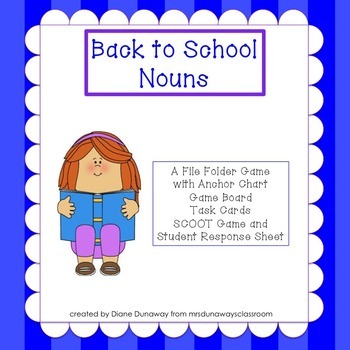 Page 1: Title and assembly of file folder game. Page 2: Cut title with graphics and glue on front of a file folder, cut info you want to use (penny or die) and tape on a sandwich size ziploc bag, cut title in lower right hand corner and glue on tab of file folder. Page 3: Cut out game board and glue into inside of file folder. Page 4, 5: Choose the ONE page with the rules you want to use. One version is using a die and one version is using a penny. 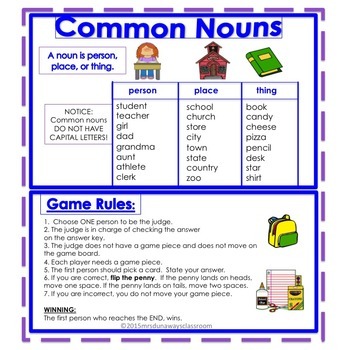 Cut out and glue game rules and information about nouns opposite game board inside file folder. Page 10: Answer sheet in case you want to use the task cards and not the game board. 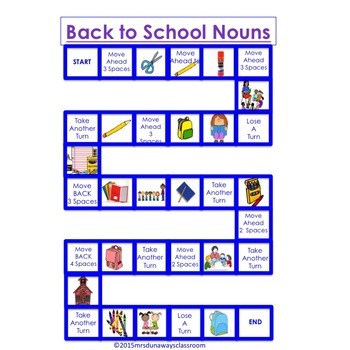 Use for individuals, small groups or fast finishers. You can also play the game SCOOT using the record sheet and task cards. 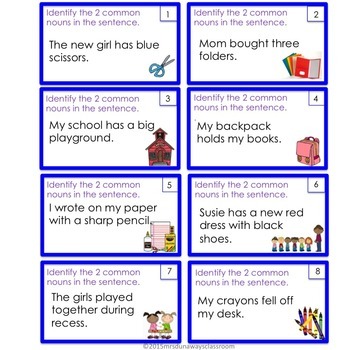 Page 11: Cut out answer key, glue onto a piece of construction paper and laminate. Page 12: Thanks for downloading this product! pieces, cards, and answer key inside the file folder.